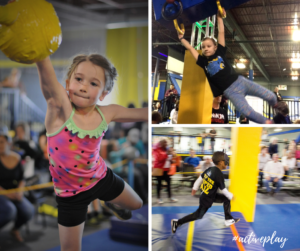 Are your kids mini Ninja Warriors in the making. Do you want to build confidence and dedication as a character value? Check out this event on April 28, 2019 at Springs Adventure Park. A partnership between Ninja Kids – Suzanne Himka and Springs Adventure Park to host a Ninja vs Ninja competition. Kids age 6-12 will compete in age and gender division on a course built for them at Springs Adventure Park. The event starts at 4:00pm on the 28th of April and will conclude before 8:00pm. American Ninja Warrior Junior competitors from the hit TV show will be onsite for demonstrations and photo’s! Register your child today and build their confidence and aspiration to be active!